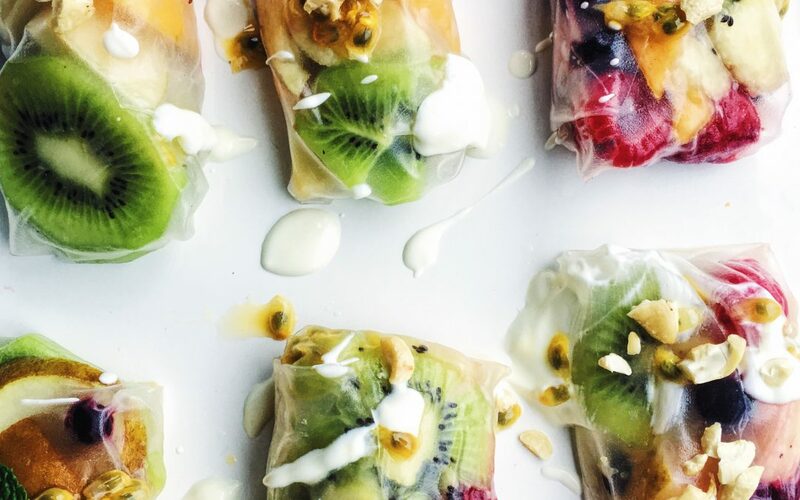 These Tuity Fruity dessert rice paper rolls are the perfect addition to any cocktail party or brunch! Completely refined sugar free and natural, they taste and look delicious. I love them because you can use any fruit and berries you have lying around and they take 5 minutes to put together. The berries and fruit are full of antioxidants and vitamins and minerals that will nourish and treat your body! Top with yogurt and cashews and enjoy! They look absolutely beautiful Tash. Must give these a try. Matcha Oat Parfait + Iphone Cases!